Tankard’s sixth studio album emerged in 1993 and while their counterparts were experimenting with industrial and nu metal sonics in the 90’s the band stood firm and true to their thrash roots. 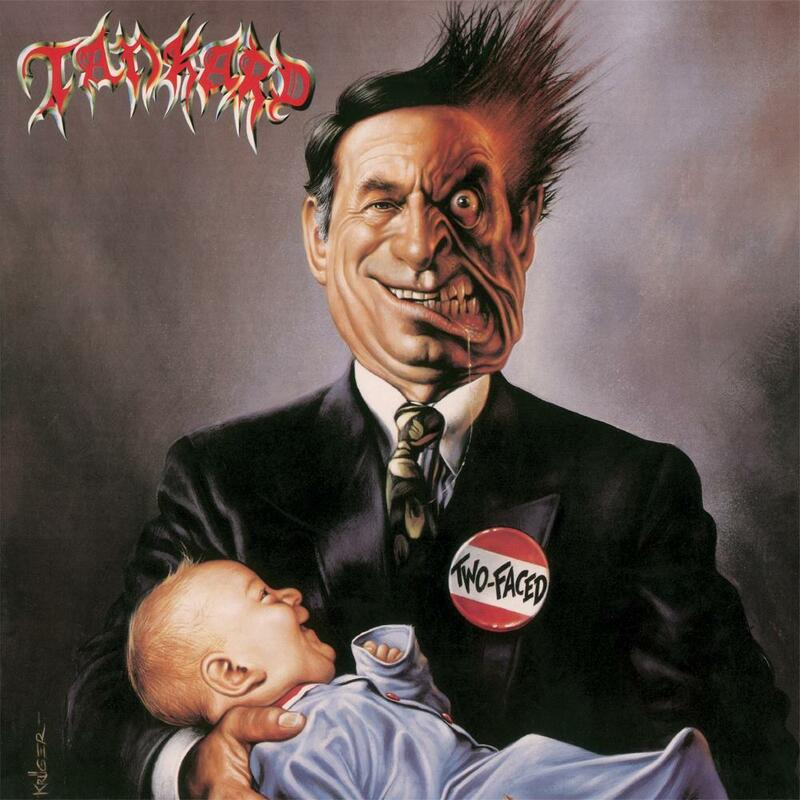 Probably the most socio-political of Tankard’s output, Two-Faced (complete with satirical cover) is an angry beast that sets aside their early humour in favour of a caustic sound with attacks on a sliding society. This album was yet another jewel in Tankard’s crown.